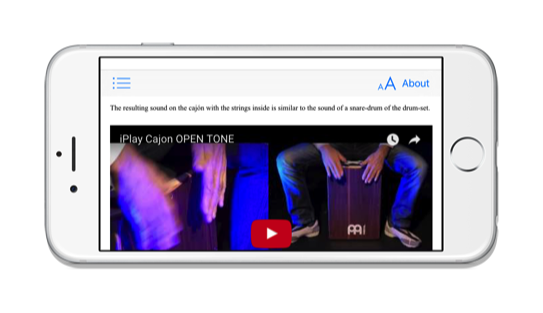 iPlay Cajon - Drum Grooves Collection is a coaching app helping you to learn playing the Cajon from the start. By simple and comprehensible explanations, videos showing posture and playing technique, exercising and notation, you will get smooth access to learning to play the Cajon. The numerous drumgrooves of various styles are supported by more than 40 playalong loops featuring piano and bass lines. 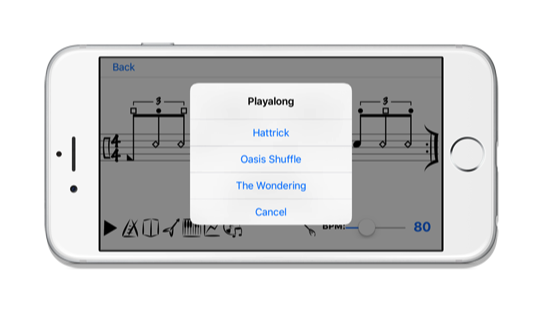 Simple repetition: In this mode, the exercise, the playalong or metronome is repeated indefinitely. Speed ​​Trainer: Helps to practice your maximum speed. 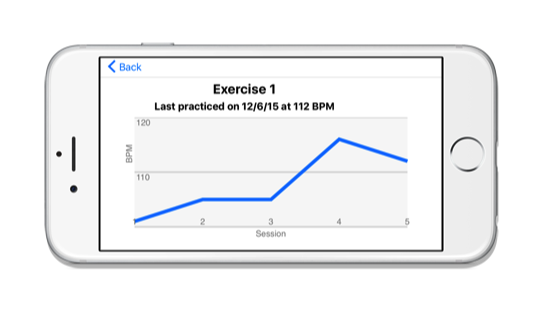 Lets you define the amount of repetitions after which the speed will be increased by how much BPM. Guided Exercise: Define how many sets of exercises you want to perform, each with how many repetitions. Rate your performance. 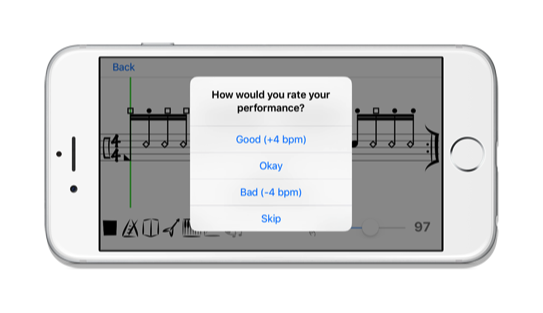 The speed of your next training is then automatically adjusted depending on your rating. 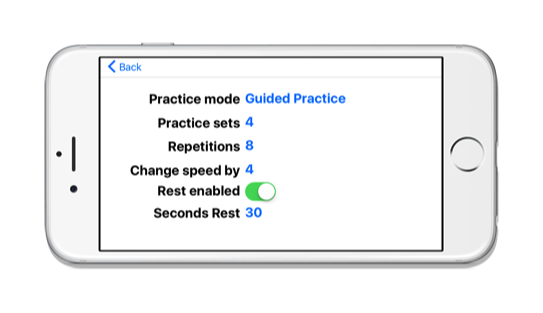 Lets you follow your progress during practice. On the horizontal axis you can see the number of your practice sessions and while on the vertical axis you can see at how many BPM you have finished your last exercise. This speed is automatically set when you selecting the fill again to practice.